A physician working at the Department of Veterans’ Affairs (VA) hospital in Missouri claims she was fired for refusing to prescribe higher doses of addictive painkillers to patients. Dr. Basimah Khulusi told the Center for Investigative Reporting (CIR) and ABC News that she lost her job at the VA hospital in Kansas City after patients complained that she would not authorize more powerful amounts of opiates. Khulusi told CIR that the VA informed her she was being terminated so they could replace her with a new doctor who was willing to work in a VA clinic that specialized in giving pain medicine injections. Abuse of painkillers has been a serious concern among VA patients, with prescriptions for opiates, including hydrocodone, oxycodone, methadone and morphine, rising by 270% between 2001 and 2012, according to CIR. That has contributed to a fatal overdose rate of almost double the national average, according to an analysis that was performed by scientists who are part of the VA staff. Opiate prescriptions at the Kansas City VA alone soared by 173% during the period in question. Khulusi explained that the majority of her patients were addicted to the drugs, which was why she refused to up their doses. Some veterans were taking 900 narcotic pain pills a month and 1,000 milligrams of morphine a day, which is 10 times the level she said was safe. Some of Khulusi’s patients expressed appreciation for her efforts to wean them off of the drugs, but others threatened her, “cussing, cursing, lashing out, complaining to the administration, complaining to the [medical] board to try to take my license away from me,” she told CIR. VA officials say they are trying to address the problem with a new program, the Opioid Safety Initiative, which is supposed to cut down the number of narcotic painkiller prescriptions. The Delusion in modern homoeopathic thinking. The I.H.M. constantly review the original writings of Hahnemann with writings of his contemporaries and successors. In doing this work, we are able to trace how the therapy has developed, who has comprehended the reality of the practice and who is likely to have overall success with the application of the therapy. The number one outstanding practitioner of all time was Clement Marian Franz von Boenninghausen. He is acknowledged as the the most successful clinician of all time. His practice consisted of veterinary and humans. Sadly a fire at the family estate destroyed the majority of Boenninghausens personal and clinical notes. We have copies of what remains, both from our own research and kindly shared by the Hahnemann Institute of Sydney Australia. Most of the remaining original works are maintained by the Bosche Institute in Germany. Boenninghausens “Therapeutic Pocket Book, a guide to the Materia Medica” was used by the profession from the mid 1800s until around 1900 with tremendous success for practitioners. The number one practitioner of all time who changed the understanding of homoeopathy, and not in a positive way, was James Tyler Kent. Kent is revered and promoted as being THE most Hahnemann centric homoeopath of all time, however, the facts do not justify this claim. Kent introduced religious beliefs into the methodology of viewing and treating disease in direct contradiction to Hahnemanns years of research and practice experience. Kent changed the medical practice into a quasi spiritual/emotional/personality based dilution of a sound medical therapy. To compound this, he compiled a repertory culled from the works of at least 5 other practitioner databases, and devised a methodology for using it, again diametrically opposed to Hahnemanns teachings. The I.H.M. have researched his practice, his writings, his philosophy, his practice methods, and his students writings, and have concluded that Kents written body of work is entirely based on the writings and philosophy of Swedenborg and as such leans toward the metaphysical. Modern day Homoeopathy is far removed from the principles of Samuel Hahnemann. A simple read of the Organon will reveal a medical direction for the treatment of diseased individuals. It is not for the treatment of personalities or spiritual maladies. It is the application of a medicinal substance that can produce similar symptoms found in the “diseased state” in a person suffering. It does not treat “named diseases” or the “nature” of a person, rather its application is to introduce a substance that will aid the body to “concentrate or focus” on an area via the immune system (whatever that is) by exacerbation of the primary symptoms of the homoeopathically individualized collection of symptoms which characterise the nature of the diseased individual. By attributing personalities to medicines, Kent did a grave mis service to the application of the provings, and negated the methodology of finding the TRUE picture of disease wherever it lay. We have a slew of gurus in the field of homoeopathy who have taken this medical practice to ridiculous levels. So much so that most schools in the West do not teach the medical practice of homoeopathy by Hahnemann anymore. It is sad. Sad because it is easily remedied by reading Hahnemann and comparing with what has been taught to them. Restrictions during homoeopathic treatment: In search of the tone of the distant flute. Reading Hahnemann is often a bracing experience. When I read his thoughts, which he expresses so succinctly and sharply, I find myself looking at my practice and wondering… Hahnemann’s introduction to China offers many expressions of the bracing sort… This particular subject, relating to medications and lifestyle of the patient while in treatment , appears in Hahnemann’s notes on his proving of China. In the modern homoeopathy clinic, especially when working with older patients with chronic conditions, our patients are almost always taking chronic medications. Rare is the patient who will challenge the doctor regarding the holy meds trinity of drugs for blood pressure / cholesterol / sugar levels. It takes a very strong mix of courage, clarity and common sense to do so, and to do so in the best way. In some cases those who refuse prescriptions may even risk problems with their insurance coverage. In addition to the prescriptions, some for the perceived problem, and some which for elderly patients are often prescribed and then renewed without really assessing the continued need – there are the substances people take for themselves, believing “the more the merrier”. Our pure, small dose must do its curative work in an environment of conventional drugs with their demanding, confusing and often debilitating side effects, supplements, herbs, oils, and, surprisingly often, some unidentified “pills that were hanging around the house” with the reasoning “they looked like they might help so I thought – why not ..”. This cacophony of influences, each pulling in its own direction, cannot help but hinder the work of the remedy – and as a result we get patients who say “I tried homoeopathy but it didn’t work”. How will Hahnemann’s words influence your practice? Or will they? And if not, why not? Here as elsewhere I insist on the sufficiency and efficiency of such small doses. And yet the vulgar herd can never understand me, for they know nothing of the pure treatment with one single simple medicinal substance to the exclusion of all other sorts of medicinal irritants, and their thoughts are enchained in the mazes of their old routine. Even when the ordinary physicians now and then constrain themselves to give in some (acute) disease one single medicine, they never have the heart to refrain from using at the same time several other things possessing medicinal power, which, however, they regard as of no consequence, and to which they apply the trivial name of domestic remedies. They must always use simultaneously either a poultice of so-called aromatic or solvent herbs applied to the most painful part … or they must rub in some medicinal ointment… or they must administer simultaneously a tea of mint camomile, elder-flower, so-called pectoral herbs, etc. (Just as though a handful of such herbs or flowers infused in boiling water counted for nothing!). … it must be ascribed to his ignorance that he considers as nothing, as not at all medicinal, such things as herb-teas and clysters, poultices and baths of herbs and salts, and the other things just mentioned, and continues to use them thoughtlessly under the name of domestic remedies during the employment of medicine internally. Still more heedlessly in this respect is the treatment of chronic maladies conducted; for, in addition to what the patient takes from medicine chests and bottles, and the external applications and so-called domestic remedies that are usually administered to the patient, lots of superfluous hurtful things are allowed, and even prescribed, which are also regarded as indifferent matters in spite of the disturbing effects they may exercise on the patient’s health, and of the confusion they may cause in the treatment. Besides all these there are tooth-powders, tooth-tinctures, and tooth-washes – also composed of medicinal ingredients, and yet considered innocuous because for-sooth they are not swallowed; just as though medicines only taken into the mouth or their exhalations drawn into the nose did not as surely act on the whole organism through its living sensitive fibres as when they are swallowed! And then the various kinds of perfumes and washes (musk, ambergris peppermint drops, oil of bergamot and cedar, neroli, eau-de-Cologne, eau-de-luce, lavender water, etc. ), besides perfumed sachets, smelling bottles, scented soaps, powders and pomades, pot-pouri, and any other noxious articles de luxe the patient may desire. In such an ocean of medicinal influences the otherwise adequate homoeopathic dose of medicine would be drowned and extinguished. But is such a medley of medicinal luxury necessary and useful for the life and well-being or compatible with the recovery of the patient? It is injurious; and yet, perhaps, it has been invented by physicians themselves for the upper classes in order to please, to stimulate and to keep them ill. … physicians …[do] not know the medicinal noxiousness of all this luxury, and … they do not prohibit it to their chronic patients. This hotch-potch of noxious influences …is so much the rule, so universally prevalent, that the ordinary practitioner cannot think of treatment without such a simultaneous medical confusion, and hence, under these circumstances, he is unable to promise any decided effect from the internal administration of a single medicinal substance in a disease, even when it is given in a large dose, far less from a very small dose of medicine homeopathically employed! … A pure treatment with a single homoeopathic medicine, all counter-acting medicinal contaminations being removed (for it is only of such I speak and only such I teach), never is seen or dreamt of in routine practice. But the difference is enormous and incredible. So the glutton just risen from his luxurious meal of highly-spiced food is incapable of perceiving the taste of a grain of sugar placed upon his over-stimulated tongue; whereas a person contented with simple fare will, when fasting in the morning, experience an intense sweet taste from a much smaller quantity of the same sugar. Similarly amid the multifarious noises in the most crowded part of a large town we can often not comprehend the loudly spoken words of a friend at the distance of five or six paces, whereas in the dead of night, when all the sounds of day are hushed and perfect stillness prevails, the undisturbed ear distinctly perceives the softest tone of a distant flute, because this gentle sound is now the only one present, and therefore it exercises its full action on the undisturbed organ of hearing. The I.H.M is shortly going to be embarking on the 2014 Seminar trail. Starting in Mexico and then on to several venues in Spain and Italy. We are looking at Israel perhaps later in the year. WHERE to look in the case taking. HOW to obtain the necessary information. HOW to find a “totality”. WHAT symptoms to pay attention to. HOW to manage the case. In explaining these topics, we also take a look at the usage of a repertory. How important a repertory is and why certain repertories can TOTALLY mislead a practitioner. All our presentations are referenced. The intention of the Seminars is fill in the blanks for the practitioners whom have never been taught Hahnemanns model, and for those that have, to link it all together in a cohesive manner for the benefit of the patient. 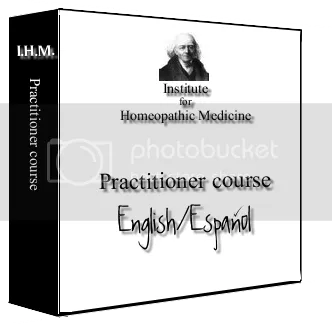 Homoeopathy the therapy, is a very precise and delineated model for collecting information, and it is our pleasure to show how Hahnemann and his students practiced it. We get asked many times to present evidence in support of the efficacy of homoeopathic Medicine. The reality is that evidence, much better than we could furnish, has been presented for the last 150 years in bucket-loads. There are hundreds of thousands of documented cases and better than mainstream medical percentages of cure in existence. A brief look at the history, development and aims of government controlled medicine will reveal that patient welfare is not high on the agenda. Its about control, political direction and money. Once this is understood, it will become obvious why all non mainstream therapies are being directed to being “doctors only” or within the scope of some branch of oversight by the governmental approved medical establishment for the “benefit of the public”. 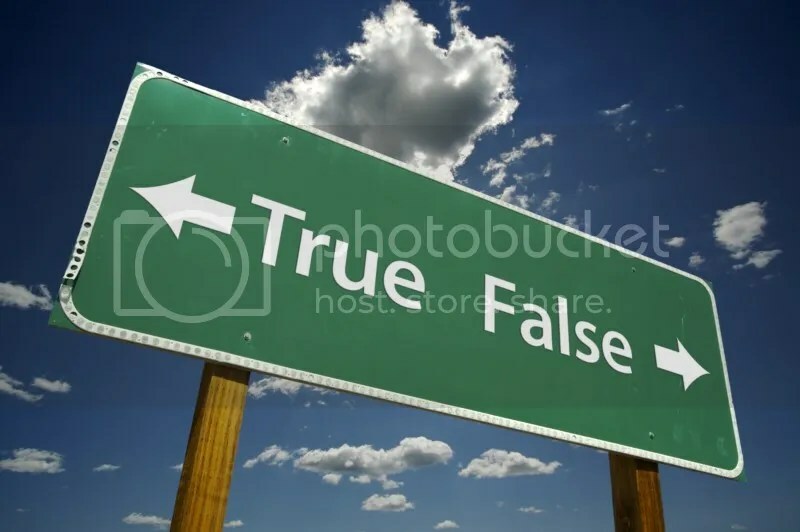 While I agree that a higher standard of practitioner knowledge and competence would be beneficial in some therapies, not least homoeopathy, I cannot ever stretch to approval of a doctors only club for the practice of simply because in the countries where this is in place, in the main, the drs have not learned their subject properly and are less than useful as a collective body within their ‘speciality’. They also are subject to the rules and regulations of the main Medical authority in their respective countries, and as such can be switched off from practice when it suits the controllers. It has happened time and time again from the 1800’s. As stated, the proof for homoeopathic value is everywhere. It has however, been sidelined by thuggery, by manipulation and by false information and invalidation given to the public. It has also been downgraded from within the therapy by some very dodgey, false and dangerous teachings by individuals who have found a way to subvert the real therapeutic aims of the speciality with an eye on personal fame and wealth. The profession is no longer attracting medically minded individuals, and is being swamped by those who desire to be amateur psychologists without doing the work or assuming responsibility for genuine homoeopathic medical knowledge. This is no different from M.Ds who have the same lack of homoeopathic medical knowledge, but have a licence to practice a bastardized form of the therapy. The governmental take over of all therapies is a well advanced stage and near to completion. The reasons are above, and all the non mainstream professions can do is slow it down, and return to the PROPER application of their respective therapies. The proof of efficacy is already out there. It is being ignored on purpose. A recent conversation with a patient regarding essential tremors, and treatment of, brought my mind back to several cases I have treated in the past using Osteopathy. I have never been particularly successful in treatments for hand tremors using homoeopathic medicine over the years, and it is something that I never really examined in detail until this last patient. Essential tremors are often ‘hereditary’ and also seem to be age related. Sometimes aggravated by concentrating on them and sometimes vary in intensity. In talking on the phone with this patient, (different country) I was told that the tremors had increased lately as had a neck and shoulder stiffness due to a more than normal work routine of computer usage and sitting down. As I compiled the information in my thinking faculties, I found myself thinking laterally. What if the tremors were not inherited, but rather a weakness of the upper thoracic vertabrae or a family weakness of the neck region? I asked the patient if the tremors were present right now, and being given the affirmative, I asked the patient to lean her left hand on her left leg whilst seated and raise it an inch off the leg. She complied with the request and informed me that the tremor was pronounced in her hand and forearm. I then asked if someone could stand behind her and place their fingers 2 inches below the neck either side of the spine, and then gently apply pressure and move upwards to the neck. As soon as the pressure was applied to T1, the tremor stopped immediately. This was tried several times and on both sides of the neck and arms with the same result. The patient was requested to make an osteopathic appointment and tell the physician of the tremors and if they would make an adjustment to the T1 or specific vertabrae in the area that had a subluxation evident. It has been my experience in the past that the pressure release on the nerves switch off the tremors. I have always worked with homoeopathic medicine as my speciality, and osteopathy for the alignment of the mechanical system. It would appear that tremors may well be a mechanical issue where a subluxation can impinge on spinal nerve roots, causing symptoms in the areas served by those roots. This may well explain my lack of success using homoeopathic medicines for the treatment of tremors. Its a physical problem. The Institute for Homoeopathic Medicine through its Directors Mexico by Dr. Guillermo Zamora and sponsored by OpenRep SYNOPSIS homoeopathic software, is pleased to announce the seminar “Restoring Homoeopathy with Hahnemann and Boenninghausen” which will take place on 29 and 30 (Saturday and Sunday) of March 2014 in the city of Guadalajara Jalisco. El Institute for Homoeopathic Medicine a través de su Dirección en México a cargo del Dr. Guillermo Zamora y patrocinado por OpenRep SYNOPSIS software homeopático, se complace en anunciar el seminario “Restaurando a la Homeopatía con Hahnemann y Boenninghausen” que se llevará a cabo el día 29 y 30 (sábado y domingo) de Marzo del 2014 en la ciudad de Guadalajara Jalisco. The seminar will focus on case taking, monitoring and prescribing according to Hahnemanns effective methodology as enhanced by Boenninghausen. En términos generales, el seminario estará enfocado a la toma de caso, seguimiento y prescripción de acuerdo a la eficaz metodología de Hahnemann/Boenninghausen. This is a seminar for homoeopaths in the exercise of the profession (Licensed in Homeopathy, Medical, specializing in Homeopathy or Homeopathic Physicians), experts, teachers or advanced students. It is not really a seminar for students just starting their training. Se trata de un seminario para homeópatas en el ejercicio de la profesión (Licenciados en Homeopatía, Médicos con especialidad en Homeopatía, o Médicos Homeópatas), expertos, profesores o estudiantes avanzados; la verdad es que no es un seminario para principiantes. I.H.M. 2014 European Seminar Schedule. Institute for Homoeopathic Medicine course for practitioners. The I.H.M. will shortly be announcing a one year external course in Homoeopathic Medicine. 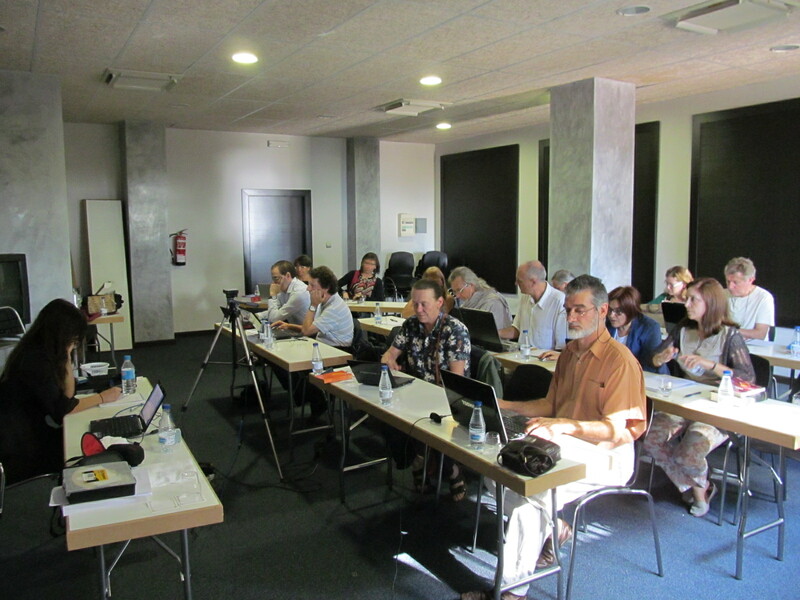 This intensive course is aimed at current practitioners of homoeopathy, to ground them in the absolutes and principles of homoeopathic understanding, to fill in the gaps or lack of homoeopathic education so that in any given situation, an answer can be found for solid and accurate prescribing with the emphasis on tried and tested steps to take as directed by Samuel Hahnemann. This course is NOT a rehash of the ‘learning’ you have undertaken. This is a modular system that gives a true and historically correct view of how the therapy developed and the correct way to apply it. The Institute for Homoeopathic Medicine is a research based organisation that has years of experience in the study and collection of original works from Hahnemann down, and has compared all forms of practice to the founders experience and can explain why, in the main, deviation from homeopathic principles in the therapy of homoeopathy will not work consistently and accurately. To this end, results will be seen when the principles are applied almost immediately. We have taken people with NO training in homeopathic medicine and used this course with them. By applying application in the learning, they had all the information WAY FAR and above what is taught in schools today, AND in only 12 months. (We gave them 12 months clinical training in case taking and case management after). We then went on to give this information to people in practice, and in 12 months their own clinic results had risen considerably. This course is in English and in Spanish. We are finalising the details of the modules and will be releasing the full details in due course. Completion of the course will entitle the participant to a completion certificate of the I.H.M. Passing of the final exam will entitle the participant to membership of the I.H.M. and entitled to all benefits derived from membership. Posted in Admin Comment, Homoeopathy, I.H.M.